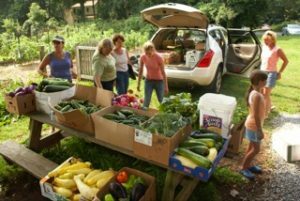 OLD SAYBROOK — Each year, the Common Good Gardens in Old Saybrook raise nearly four tons of fresh vegetables and fruit, and then then donates them to the Shoreline Soup Kitchens and Pantries And they do it entirely with volunteers – volunteers who have kept it going and improved it for 15 years. You’re probably thinking, “How unselfish … doing all that work to benefit other people,” and they are for sure. But, according to new research, volunteers are also on the receiving end of some amazing benefits; and most likely, they don’t even know it. They just know that they feel better when they leave the garden. Never too young … all ages can volunteer at the Common Good Garden. On average, volunteering 40 to 100 hours per year increases personal satisfaction and happiness, decreases depression, improves functional capacity; and results in fewer illnesses and a longer life span. Similar articles from the Huffington Post, Atlantic Monthly as well as research released by Johns Hopkins, The London School of Economics and University of Exeter Medical School have all told a similar story. Volunteering has health benefits — especially for seniors! While there are potential gains to be had for high-schoolers and middle-aged persons, the greatest gains related to volunteering are for those 65 and older. Some researchers suggest this greater gain for seniors may be because they start out lower before volunteering. Their health may not be as good as that of younger people or they may have lower self-esteem and more social isolation due to retirement. Even if that proves true, starting to volunteer at an earlier adult stage seems to correlate with fewer health issues later in life. Regarding functional capacity, the Hopkins study showed improved brain function associated with activities that get you moving and thinking at the same time. As for happiness, though some of the happiness data is based on self-reporting alone, other data show hormone levels and brain scan activity consistent with physiologic changes associated with happiness. In addition to the improvements shown above, a large review of nearly 25,000 articles in the UK notes increased coping ability, better parenting skills and richer personal relationships. Several studies examined in particular the impact for those with chronic illness. They found that these volunteers reported decreased pain and depression. People with a prior heart attack also had lower incidences of depression after volunteering. Finally U.S. census data confirms that those states with high volunteer rates show greater longevity and lower rates of heart disease. 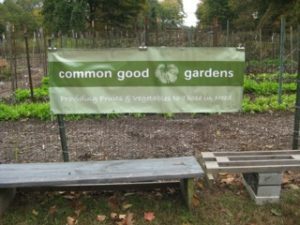 Come join us at the Common Good Gardens. Whatever your age, level of health, or skill set, there’s a way for you to contribute while benefiting from volunteering. 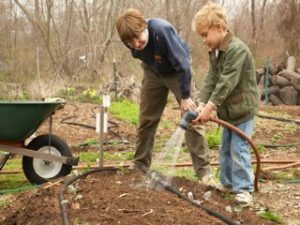 Yes, gardeners are needed to plant, weed and harvest, and beginners are always welcome. 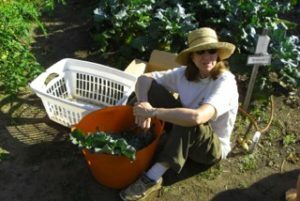 But also needed are people with computer skills, carpentry skills, writing and speaking skills; people who can drive a car to deliver produce; leaders to organize small groups and work with public schools; people who love nature or are excited about nutrition, and folk who want to help experiment with natural ways to deter pests or make soil richer. 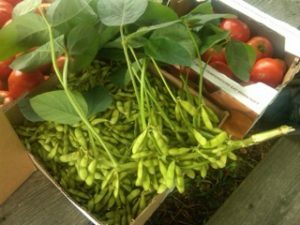 7: Number of farm stands that donate excess produce to garden for distribution to pantries in 2013. 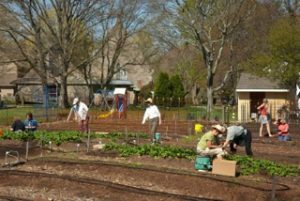 Many hands make light work at the Common Good Gardens. 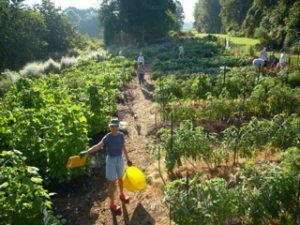 Current volunteers at the Common Good Gardens encourage you to get involved so that together, a healthy future for the garden, ourselves, and our shoreline community can be created. 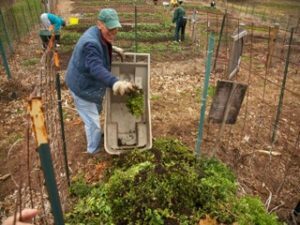 If interested, contact Common Good Gardens at PO Box 1224, Old Saybrook, CT 06475 or call Barbara Standke at 860-575-8645 with questions, or to sign up for the annual new volunteer orientation on March 11. 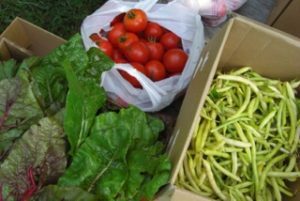 Editor’s Note: The authors of this piece, Kate Wessling and Barbara Standke, are respectively Common Good Gardens President and Common Good Gardens Volunteer Coordinator.